Politicians from all around, feeling the irresistible pull of pork, are heading to Fayetteville, Georgia: Georgia hunter boasts he shot and killed 1,100-pound wild hog in Atlanta suburb. That bad boy must have snuck up from Texas. It must be nice to be rich. This one has me all depressed over not hitting the lottery, Is Britney Spears headed for rehab? It looks like the drowsy diva is heading for some upper crust spa for a spell of full body massage and facials while drying out. Ah, must be nice. Of course, we have a rehab center down here, called the county jail. While the facilities and service probably aren’t as nice as our favorite pop tart will have, I’ve heard it’s almost as expensive a stay, what with the legal fine and the private bunk fee, paid in cigarettes. It just occurred to me that having black eyed peas and cornbread on New Years Day for luck, might not be a universal tradition. Does it at least carry over to England? Your talking about Tom Cruise buying in Sussex, brought to my attention a property that has just come up for sale in Cornwall (which is about as south as you can get in the UK). When you bear in mind the fact that the average detached property price is in the region of £280,000 ($560,000), it was a shock to learn that the owners only wanted £1,000 ($2,000). However, it transpires that the house is built over old coal-mining works and there is a number of 3-400 foot disused shafts beneath it, so the time left standing is debatable. Mind you that is one hell of a basement. I don’t know if they had this in England, but when I was young you could buy cute little baby turtles for pets. They stopped selling them when it was discovered that they carried some nasty disease. 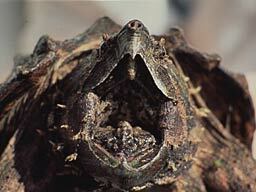 The interesting factoid on this is that they were often alligator snapping turtles. 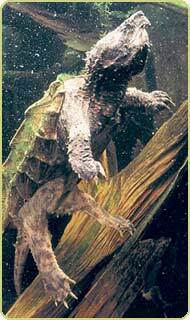 These can live for over 70 years and get up to 175 pounds, that’s 80 kg. It’s another gift that keeps on giving. If it is that fast growing, how long before we are able to make a bridge across the Atlantic? Over here they seem to be doing the opposite with plants, actually reducing the corrosion protective ones. If it continues, I will soon be able to send you some sand. 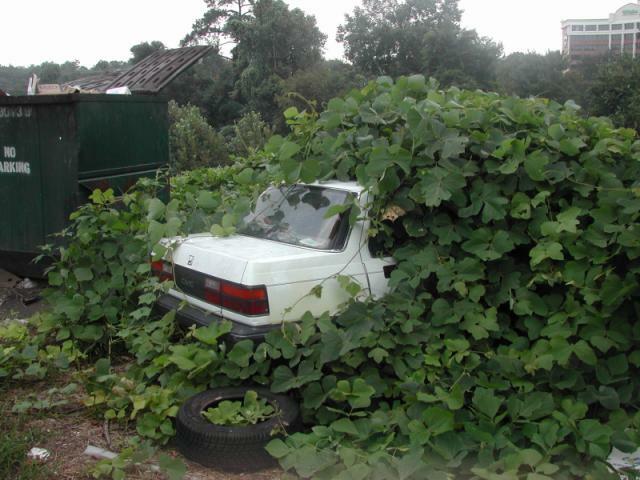 I may need to move somewhere soon, just to escape the kudzu (Pueraria montana.) 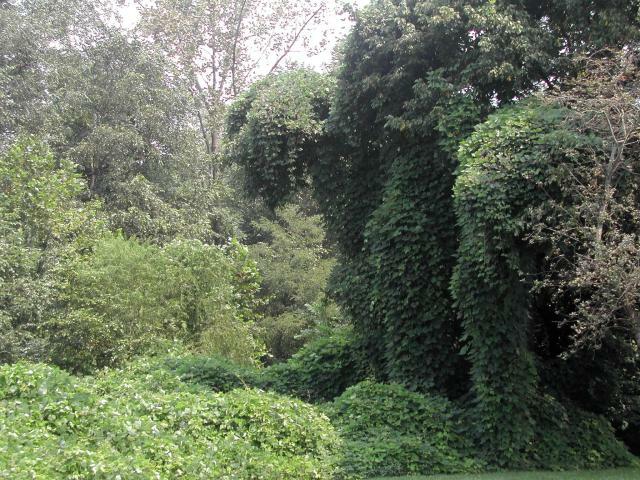 Kudzu is a vine that can grow up to a foot a day, and reach lengths of 90 feet. The roots can go down over 9 feet. It’s almost impervious to herbicides, and research has shown that one common anti-plant concoction actually makes it grow better. At last count it has covered over seven million acres of fine Southern land since it was introduced for erosion control back in the 1930s.